You&apos;ve done some golf outings this summer, but not one this special and fun. A great opportunity to enjoy a summer day of golf while simultaneously helping a local cause awaits. Register now for the Team Lansing Foundation Golf Outing! This year&apos;s outing will be held at Forest Akers West Golf Course. The charitable event is sure to be a memorable time as it brings together the Greater Lansing hospitality community and its many partners to raise funds for the regional destination development dilemma, as described in detail below. PROBLEM: A local school had sufficient baseball facilities. Due to inadequate fencing, the students lost out on opportunities to have their school host weekend tournaments, for which it would otherwise have been perfectly suited. SOLUTION: TThe Greater Lansing Sports Authority saw the need, so the Team Lansing Foundation assessed the potential. They responded with the decision to purchase temporary, removable outfield fences. RESULTS: The school hosted the Triple Crown Baseball Tournament, as well as the BPA Under-11 World Series, and it is now a desirable, regional option for baseball and softball tournaments of all sizes. This donation from the Team Lansing Foundation has given our area youth an improved facility, and it created a site that is a regional draw for tournaments, which helps out the local economy. It&apos;s a classic win-win, said Athletic Director Rick Schmidt of Holt High School. Through sponsorship, numerous sponsor levels are available. Read through the details of each level, or you may also opt to enter in a foursome at just $600 per team. You will be helping Greater Lansing become stronger, all the while having a great day on the course as well. 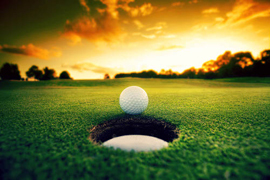 On August 31st, golfers can register and hit some range balls from 8:30 to 10 a.m., with a shotgun start at 10 a.m. Lunch will be served at the turn, and a raffle with awesome prizes and drinks will be available at the end of the round. Bolster your role in the Greater Lansing hospitality community and give back to the Greater Lansing economy while enjoying a great round of golf. Attendees will also have the opportunity to network with area meeting planners and sports event planners. Have fun, play some golf before the ground freezes, and win great prizes! Does this sound like something you can get behind? Do you already have your foursome in mind? Click here for the registration form and get started. We can&apos;t wait to see you at Forest Akers!